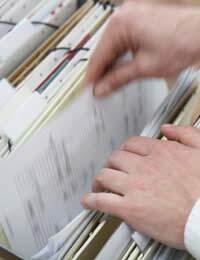 What Business Records Do You Need to Keep? Home > Getting Started > What Business Records Do You Need to Keep? As the owner of a gardening business, there are a number of essential business records that you need to keep, both to help your business run smoothly, and to meet the requirements of HMRC. All business owners need to keep records and the sooner you’re able to get into the habit of doing so, the better the effect on your business. It can seem like a bit of a tiresome task at first, and it’s the part that many business owners detest and wish they could skip, but it’s an essential part of running an efficient and successful business. Keep track of invoices you’ve received and bills you’ve paid. Keep track of your employees and customers. Keep on top of your financial situation and keep within budgets. Keep your accountant happy – organised and ordered accounts can even mean paying your accountant less. Do your tax return more easily. Know how much tax you’ll need to pay. All businesses, large or small, need to fill in a tax return at the end of each year, with some also needing it for VAT purposes, and the business records you keep are essential for doing this properly. It’s up to you how you decide to keep your records, but the main thing is to make sure you do so consistently and within the rules of your system. It’s better to keep records updated as often as possible, which means at regularly stages during the week or monthly, so you don’t end up with a pile of paperwork to sort through at the end of the year. There are many good pieces of software that can help aid your record keeping, but always remember to keep good and regular back-ups too, just in case any data is ever accidentally lost. Some small businesses still rely on written records too, or a combination of written and computerised. As well as all bills, invoices and receipts you receive and pay, you should also keep details of your banks and building society accounts, the amount of interest you receive for these, any shares you have, any personal allowances you pay yourself from the business, the cost of heating and lighting your premises and details of cash expenses. Having an accountant is very worthwhile, as they can guide you through all the necessary records you need to keep each year and highlight any new issues as they arise. How Long Should Business Records Be Kept For? It’s all very well to keep making records year after year, but when one year has ended, how long do you need to hold onto all your past records for? This is the part that can seem like a bit of a bind for small businesses, as the last thing you want to be stuck with is a pile of old records, especially if they’re filed away in bulky files or box files. But as annoying as it may seem, it’s essential that you hang onto them for a certain amount of time. According to the rules and regulations set down by HMRC, all businesses need to keep all their records for at least six years if they are VAT registered, or at least five years since filing their last Self Assessment tax return. As well as helping you, in case you need to refer back to them for any reason, it’s also useful for HMRC, in case they need to question your tax payments or audit you.